Oleksiy Fortunatov is an internationally renowned fencer and coach who has trained national champions and has won numerous gold medals himself at prestigious fencing competitions throughout the world. He has been a member of the Ukrainian Cadet, Junior and Senior National teams, and has twenty first place titles at National Ukrainian fencing competitions, as well as many gold, silver and bronze medals. He has earned the formal recognition of the president of Ukraine for his success in fencing. Oleksiy Fortunatov is a high caliber coach with a track record of producing champions. He coached the top national cadet fencers in Ukraine, coaching them to win 4th place in the Junior World Cup in Portugal in 2004 and 7th place in the Cadet World Cup in Bulgaria. He has also coached Nadiya Kazirmirtchuk, who is the Ukrainian female champion, Olympian and multiple medalist in World Cups throughout Ukraine, Europe, and the world. 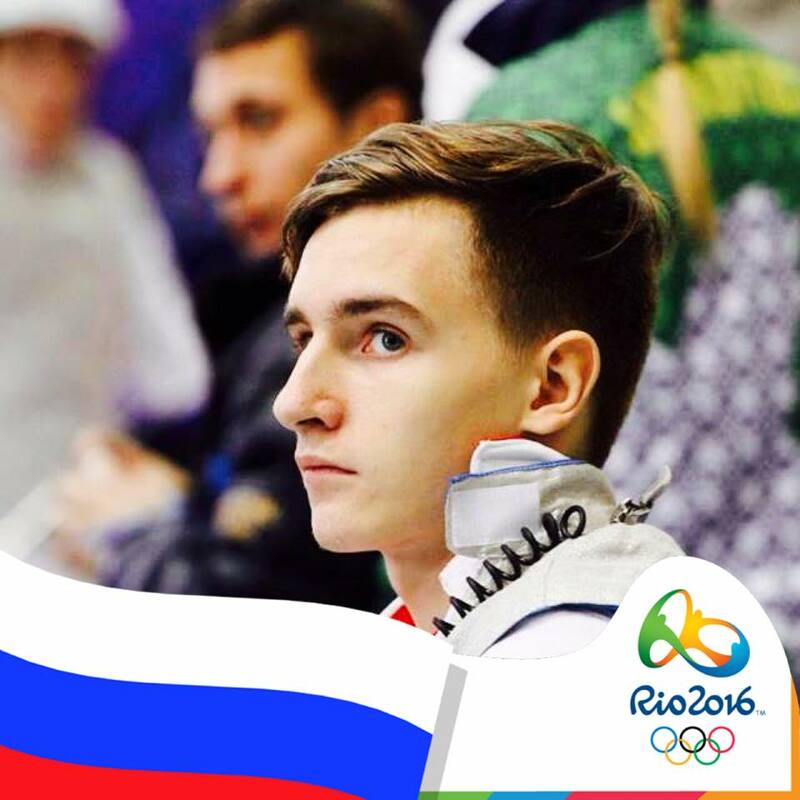 Oleksiy Fortunatov comes to us with the highest credentials available in the sport of fencing. He completed his Masters degree at The National University of Physical College and Sports of Ukraine. This is a highly prestigious institution in Ukraine, which has produced Olympic and World Cup champions. 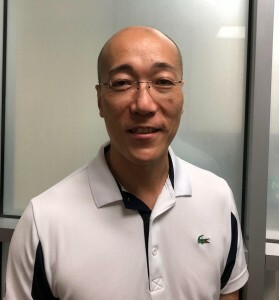 His degree from this institution is recognized internationally and enables him to coach national and international Cadet, Junior and Div I teams anywhere in the world. This specialty degree is only granted to 2-3 fencing coaches in Ukraine every year. San Francisco Fencers’ Club welcomes 2004 Olympian Nadiya Kazimirtchuk-Fortunatova, a highly accomplished and world-renowned fencer. In addition to her Olympic bid in Athens, Nadiya has won numerous medals and awards. Her achievements were so extraordinary that she received personal commendations from both the President and Prime Minister of Ukraine, the Mayor of Kiev and the Mayor of Almeria. Nadiya comes to us with the highest credentials available in fencing. She has attained the Honored Masters of Sports, the International Master of Sports and Master of Sports. The Honored (Merited) Masters of Sports is the most prestigious sports award in Ukraine and Russia, and is only awarded to international champions who have made valuable contributions to the sport. Nadiya’s coaching credentials are exceptional. 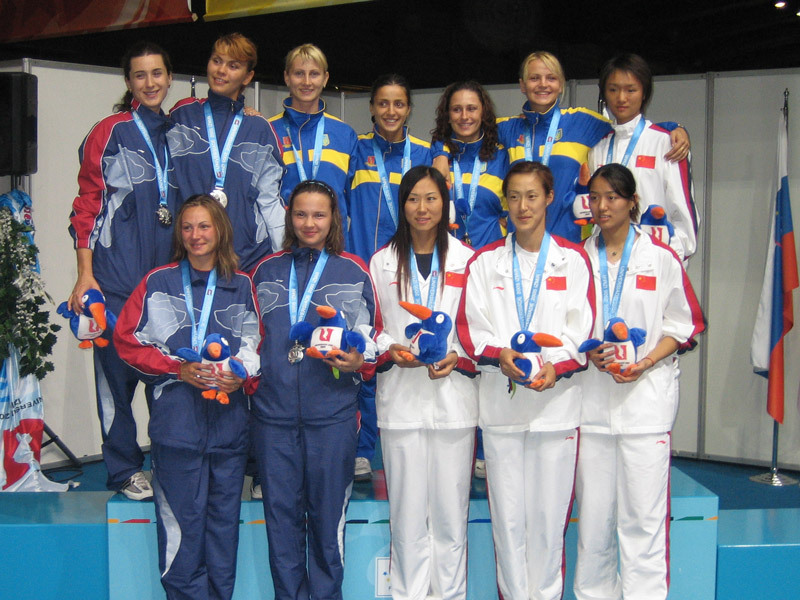 She was Head coach for the Ukraine National Junior Women’s Team from 2005-2008. 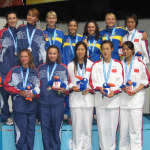 She was also accepted as a high level fencing coach in the National University of Physical College and Sports of Ukraine. This is a prestigious institution in Ukraine, and has produced Olympic champions, and world and European champions. Nadiya was one of only three accepted into the program, from a very large pool of applicants. 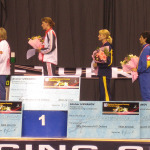 Her degree from this institution is recognized internationally and enables her to coach national and international fencing teams anywhere and at any capacity in the world. This specialty degree is only granted to 2-3 fencing coaches throughout Ukraine every year. 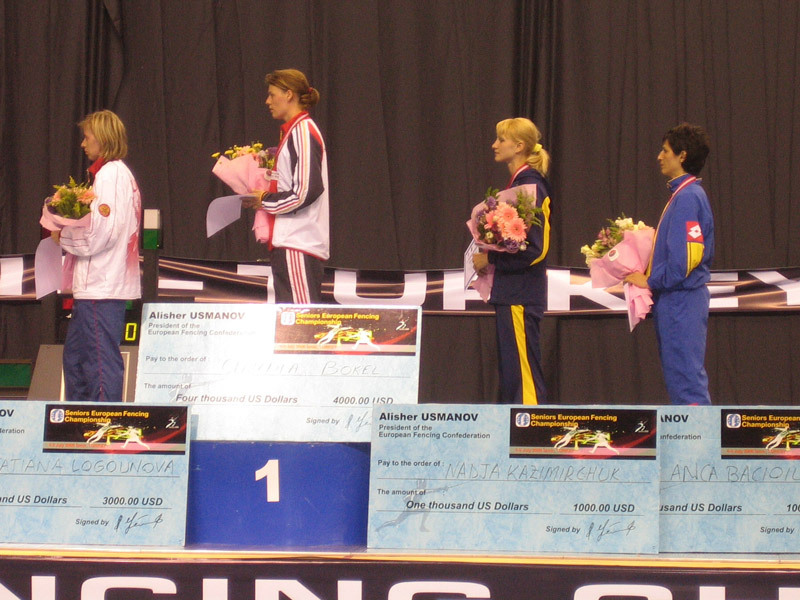 Nadiya is an 8-time Junior World Cup gold medalist, 3-time European Championships bronze medalist, 2-time Senior World Cup Grand-Prix gold medalist, 2003 Belgium Senior World Cup gold medalist, 2003 Spain Senior World Cup gold medalist, 4-time Senior World Cup bronze medalist, 2003 Havana Senior World Championships finalist, and 2002 Lisbon Senior World Championships 6th place medalist. Ryan began his fencing pursuit in college and competed for ten years until 1998. Since then Ryan continues to train and play sports. From 2005 Ryan has been an avid squash player and competes regionally. He brings his multi-sport training and competing experience to teaching youth and adult fencers. “Top athletes today across many amateur and professional sports look to develop the athlete first and player second. ‘You must get fit to play, not play to get fit’ is the motto for the competitive athlete. At the top level of fencing, athletes work a majority of their training off the strip. I’m committed to teaching fencers of all levels the rigor of athletic competing built around physical and mental training accompanied by the techniques and skills of fencing movements. Anton Zakharikov is an internationally renowned fencer who has won top medals in his home country of Russia and has also competed in top-level fencing competitions throughout the world – including several international World Cups and European and North American Championships. He has finished in the top-sixteen or better in eighteen European, North American, and World Championships and received the prestigious Master of Sport of Russia award in recognition of his extraordinary talent. He has won 7 gold medals in Russian National Championships, as well as 8 silver and 11 bronze medals. Our armorer, Bijan, provides reliable equipment repair services that are conveniently available at the club. Rest assured that all of our equipment repairs will be timely, and satisfaction guaranteed. For armory inquiries, feel free to contact Bijan at bijan@sffencers.com or 408.306.9908.